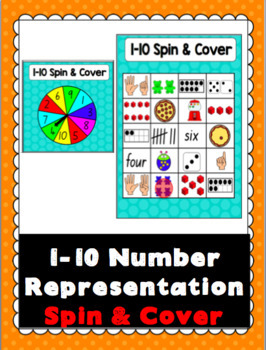 This Number Representation Game is a fun activity to consolidate, practice or revise numbers 1 - 10. 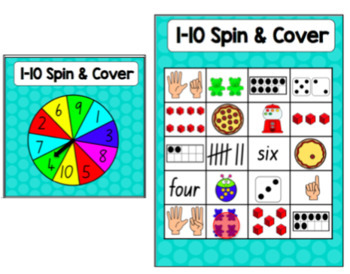 The Spin and Cover game has the number 1-10 on the spinner wheel. Students spin the spinner and cover a matching number representation (if found on their game board). 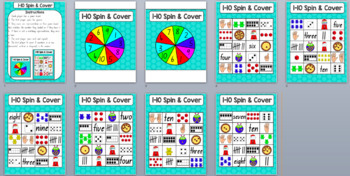 It includes 2 different spinners and 6 different game boards so students can play in pairs or small groups up to 6. Different Number Representations included: tens frames, words, dice, hands, blocks, teddies, tally marks. This game is designed for student to work with minimum teacher guidance or supervision. You can either use spinners or a pencil and paperclip as the spinner. Games come with a simple instruction sheets for students to use or to send home for homework. Tag me on photos on Social Media to receive a product of your choice for free!